with an 8 inch friend this morning. He is a cutie, does he have a she with eyelashes maybe? He is indeed, very cute! Very cute friend you have there. 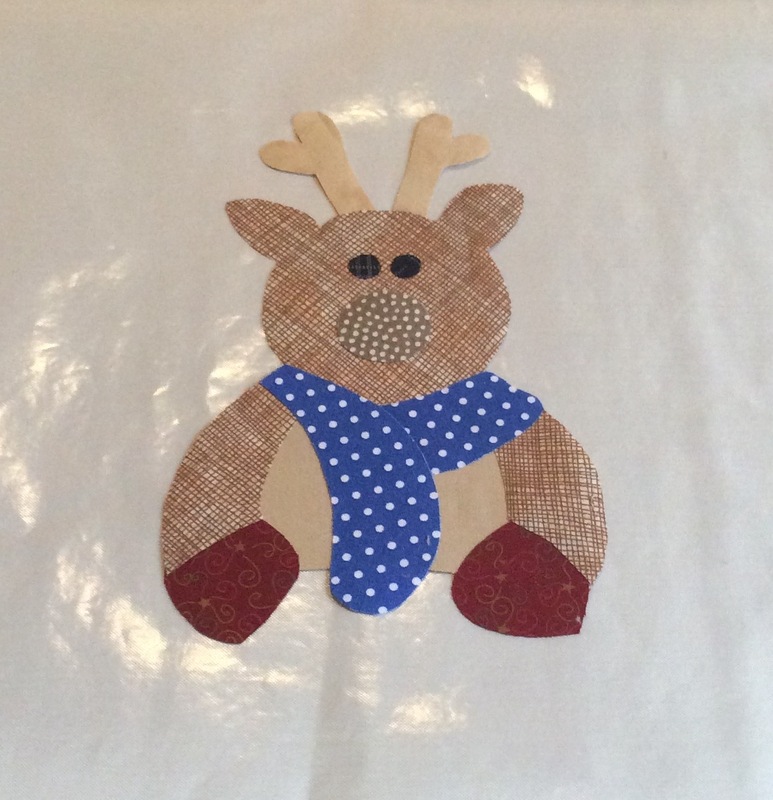 Nice reindeer...Are you making Santa Sacks. This one is looking great. How many do you plan to make? Cute! Definitely looks like a grandpa deer.